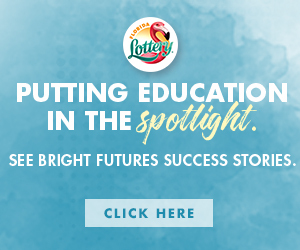 For African Americans, historically black colleges and universities (HBCUs) have not only educated thousands, but have been at the very foundation of the growth and development of former slaves. There is a direct link between the role that Black church has played in the uplifting of the race and the role of HBCUs. 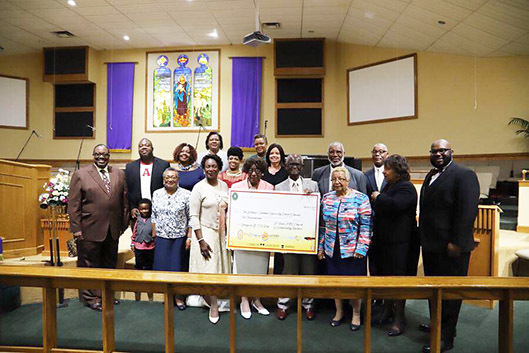 Pastor Dr. Marvin C. Zanders, understands, embraces and supports many schools, but last week the Senior Pastor of St. Paul AME Church, focused his efforts on helping Bethune Cookman University (BCU) with a service and fundraising effort to benefit the school’s scholarship fund. Organizers tout the uniqueness of the day and the impact that the BCU Concert Chorale students, affectionately called the Ambassadors of Goodwill, had on the event. The morning sermon, “I Got This!” taken from the scripture 1 Samuel 17:38-40 and delivered by guest preacher, Reverend Willie Barnes, Jr. of Greater Bethel AME Church, Miami, Florida. Rev. Barnes set the tone for the soul stirring day of worship in sermon and song. 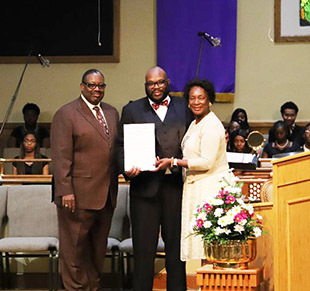 The Richard Allen Young Adult Council (RAYAC), an auxiliary of the church, led by Steward Darrin Williams, was in charge of the morning worship under the auspices of the St. Paul AME Church Department of Christian Education directed by Dr. Brenda R. Simmons-Hutchin – a member of the BCU Class of 1971. The Concert Chorale, directed by Mr. Terrance Lane, rendered a snippet of what was to come as they sang two selections during the morning worship. At the full afternoon concert, the young vocalists demonstrated their musical talent singing songs of “yesterday, today and tomorrow,” according to Lane. The repertoire of classical music, spirituals, gospel and jazz lifted hearts. This concert was the last of the Chorale’s Spring Recruitment tour that included engagements throughout the state of Florida and an east coast stop that included Washington, D.C. 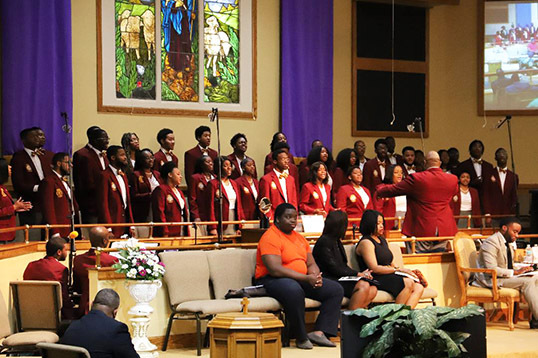 In previous years, the BCU Concert Chorale gained international renowned performing concerts in Israel, South America, Cuba, Carnegie Hall and at the White House for President Barack and First Lady Michelle Obama. 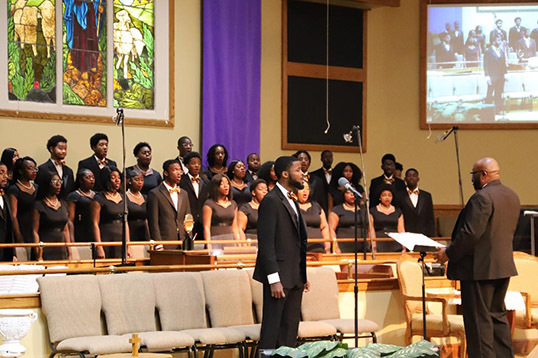 Currently, there are three student-vocalists from Jacksonville, Florida: Danyelle Payne, soprano; Joycelyn Williams, alto; and Benjamin Simmons, III, Bass, grandson of Dr. Simmons-Hutchins. The BCU Day at St. Paul was also marked with a Proclamation from State Senator Audrey Gibson, a longtime church member. 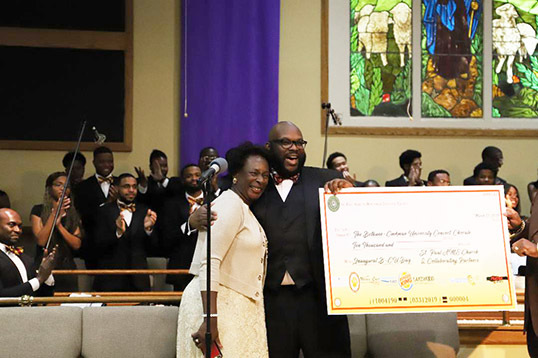 According to Simmons-Hutchins, after gaining strong support from Pastor Zanders to host the Chorale, she accepted the fund-raising challenge from Mr. Lane whose charge was to raise $10,000 for student scholarships.